Could you be even more effective at using Microsoft Excel? As a frequent Excel user you know that Excel is a powerful piece of software and it’s used in offices all over the world. But if you look at the amount of time you spend in Excel doing relatively simple repetitive tasks you will understand that using Excel effectively is the key to higher productivity. And you could be using Excel more effectively than you are right now by learning some simple productivity tips. OK I will learn some tips. What about the “zero cost” way of learning? You can certainly learn to be effective in Excel without spending a dollar. You could learn new features by reading the extensive help available with the F1 key. Or you could search through online Excel forums and websites to pick up tips here and there. But you will spend months (or years) of your life before you see any noticeable improvement to your proficiency. Sure you don’t spend a dollar but you lose time. More money can be earned – but time lost is lost forever. Well how about buying an 800-page book with 1,000 Excel tips? Big Excel books are great reference material because they cover so much ground. In fact they are like the local telephone directory that has thousands of numbers in them. And just like telephone directories they spend a lot of time on the shelf picking up dust. You don’t need a telephone directory on a day to day basis. The numbers stored on your mobile handset are just fine for calling family, friends and colleagues. But what’s the equivalent for learning Excel tips? Power Tips for Microsoft Excel is an eBook and set of videos that helps you learn simple secrets of doing repetitive tasks faster in Excel. It’s a product that is based on more than 10 years of personal experience with Excel. It brings together a core set of tips and tricks that will quickly help you to be more effective. Plus it gives you principles for how to learn faster. And it provides you with a progress checklist to keep you accountable and track your learning progress. So you’ll no longer have to spend months (or years) going round in circles, doing things the same old way, picking up the widely scattered collection of tips that are somewhere out there on the internet. 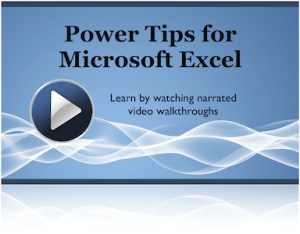 What’s in Power Tips for Microsoft Excel? Here is a preview of what you will find in Power Tips for Microsoft Excel, and what makes it different from other Excel training products. It’s quite easy to start using Microsoft Excel, but becoming productive in Excel can take years. Power Tips focuses on providing more than 60 unique Excel tips that will boost your productivity in a matter of weeks. Most of us waste time because we do mundane, repetitive tasks. If you get efficient by learning the power tips described in the eBook and videos, you will save time, lots of time. And as someone who uses Excel on a frequent basis, time is of the upmost importance to you. Saving time is a huge blessing. When you are learning a new skill it can be hard to focus on the right things. Our attractive eBook page design is powerful enough to keep you focused on the task of learning new tips and yet simple enough for you to quickly skim. Every page has been organized to clearly communicate the main learning points to make it easy for you. Keyboard shortcuts are very useful to learn but tricky to remember. The keyboard shortcuts in the Power TIps eBook are highlighted in bold to help you find them quickly. And many keyboard shortcuts are listed in the printable progress checklist (bonus PDF) so you can remember them better. Have you ever tried reading a computer book where you need to jump from the instructions on one page to the screenshots on a different page? 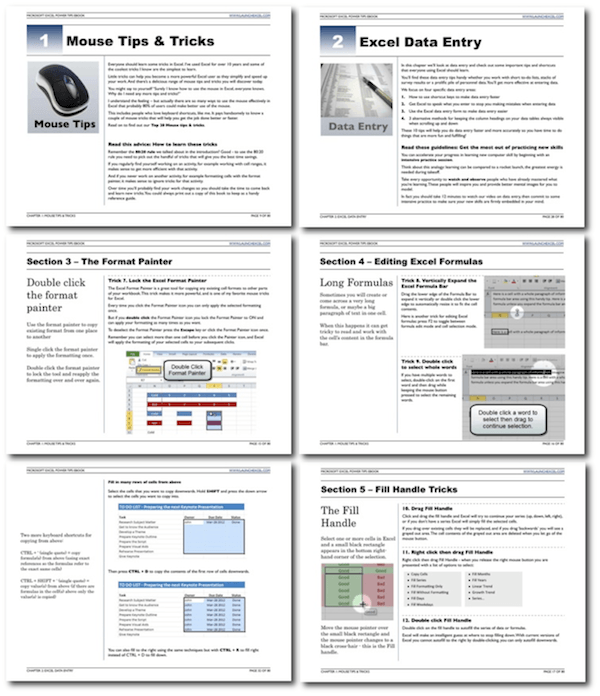 In the Power Tips eBook the screenshots are on the same page as the corresponding instructions. You will not need to jump from one page to another just to look at the screenshots while following the step-by-step instructions. And our screenshots help to provide relevant context to illustrate each tip. You can get all the information in the world, but if you can’t apply it, the information becomes pretty useless. When you buy Power Tips you will learn that the key to productive learning is to apply two important principles. Yet most people overlook these and their learning is not effective. What are the two principles? We clearly explain them in the Power Tips eBook so you can apply them to your own learning tasks. If you don’t use these principles you will learn haphazardly and lack focus, which makes your learning less effective. If you do use them, your learning will be much more effective. What will I learn in “Power Tips for Microsoft Excel”? Here is a sample of what you get in the eBook. You also said there were videos. Can you tell me about them? Here are four reasons you will love the videos that come with the Premium Edition of Power Tips. Have you ever sat through a long and slow presentation that conveys in one hour what should have been said in 10 minutes? You won’t get that here. With the 3 Power Tips videos in the Premium edition you quickly see all the important steps clearly explained in a crisp and compact package. Do you remember what it’s like sitting through a long classroom-based training session where you can’t go at your own pace because the whole class needs to cover the same material at one rate? The beauty of video is that you can pause, rewind and jump. It’s like having a local Excel expert on hand as you watch and listen to how to use Excel effectively, all on your very own screen. And you can have Excel open in the background so you are ready to try out the tips as soon as you watch them. It’s fun to watch special effects but in too many videos the editor gets carried away and you end up sitting through one transition after another after another. This can get very tiresome. That is why we carefully created each Power Tips video to maximize your learning experience and minimize your frustration factor. We only use quick zooms, transitions and edits, not lengthy drawn-out screen rotates or other distracting special effects. Maybe flashy effects look cool the first time you watch them, but I’m sure you quickly tire of seeing them a second and third time. When you watch our videos there is nothing to distract you from the learning experience. This helps you learn the material faster and retain it longer. Imagine talking to someone on a bad phone line. It can get pretty irritating when the background static muffles our much of the conversation. And it can get downright troublesome when your voice is cut off, and you have no idea whether the other person heard what you said. It’s just as bad listening to a video tutorial with poor sound quality. Not only are our videos produced to a high visual standard, the audio is free from annoying static. And the instructions are clearly spoken so you can easily follow along. To help you further there are onscreen text boxes that give quick indicators of important moments and reminders of what keyboard shortcuts to use. So you can focus on following the instructions. Ever signed up for an online tutorial course where you only get a fixed period of say 3 months to watch all the tutorials online? After the 3 months is over, you get no further access unless you extend your paid membership. Well, the videos in our Premium package are there for you to download to your own computer so you can watch them in your own time. There is no time limit beyond which you can no longer watch the videos – they are yours to keep forever. So 6 months or 2 years from now you will still be able to load up and watch all the videos at no extra cost. “For the first time ever I have read past the first 6 or 7 pages of a training manual! As an experienced IT trainer the skills being displayed within this eBook took me over ten years of hands-on learning and experience to compile. Oh how I would have loved to have seen this ten years ago! For example on page 30 there’s an information box on what I refer to as Excel’s hidden menus (to configure advanced options) that I didn’t discover for about 8 years. Additionally, at last, here is a book layout that is positively radical and so visually fresh – it’s a joy to view and read. if you want Power Tips, you should move fast. Not because supply is running out, but because ultimately it’s about better productivity. The longer you wait, the longer it’s going to take for you to start seeing results. Don’t wait until you’re too stressed at work, buy it now when you have time to really master the tips. A really big problem is not knowing whether you are doing something efficiently. Or whether you could be doing it more efficiently. Power Tips not only gives you a specific set of techniques to use right away, but also gives you confidence to forge ahead with learning new techniques. Can I peek inside the Power Tips eBook? Compatibility: What versions of Excel is this suitable for? 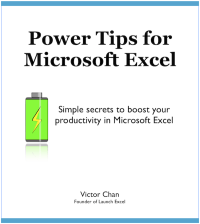 You will benefit most from Power Tips if you use Excel 2010 or Excel 2007. Many of the tips will work with Excel 2003, but many of the screenshots and menu commands are only relevant to Excel 2010 or Excel 2007. We advise you not to buy this book if you use Excel for Mac, because of significant differences in the menu and shortcut system. The information is delivered via the Internet. You will get an email with a download link that remains valid for a fixed length of time so you do not need to download the product immediately. Payment Methods: Can I pay by credit card? Paypal? You can pay via credit card and Paypal. 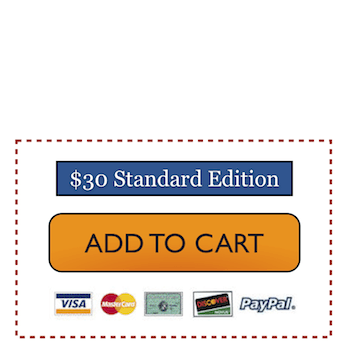 When you click on the buy button you will be taken to a Paypal page, where the first option is to pay using Paypal and the second option is to pay via credit card. Currency: Are all payments in US Dollars only? All payments are in US Dollars. the system will convert the USD amount to your own currency when you get your credit card statement. In some cases, depending on where you’re from, you may be able to see the conversion rate in your own currency before you pay (this feature is not available for all currencies). Why should I go for the Premium edition? When you pick up any book to read step-by-step instructions, you will find that they can only convey a certain amount of information. No matter how clearly the instructions are written, they hardly capture the dynamic nature of watching the steps in action. Buy the Premium edition and you will get a very powerful system combining written instructions in the Power Tips eBook and audiovisual tutorials in the Power Tips videos. I have the Standard edition. How do I upgrade to the Premium edition? If you do not own a copy of the Standard edition we strongly advise you do not buy the standalone videos. This is just to ensure that you get the full value out of the program. As great as the videos are, they do not have as much detail or specific content as the eBook. And you do not get the Progress checklist and sample spreadsheet when you buy the upgrade, only the videos tutorials and highlights PDF. Here is a list of extras you get with the eBook and videos. When you read step-by-step instructions it’s often easy to misunderstand tricky concepts, even if the instructions are written very clearly. It always help to have a working workbook in front of you to play with. Both the standard and premium packages come with a sample workbook that lays out how to create dependent Data Validation drop downs. This is one of the trickiest Power Tips to learn, and having the spreadsheet on your computer will help you understand the concept faster. The spreadsheet is structured so that you can easily see what formulas are used and how to arrange your data validation source sheets. Do you remember getting really excited when setting new year resolutions, only to find yourself forgetting them a couple of weeks later? We know the feeling, so to help you stay accountable when learning our Power Tips, we give you a free bonus progress checklist (worth $30). This printable checklist is very important because it will help you to keep track of which tips you need to learn and how many tips you have already mastered. It also encourages you to share the tips as you learn them, because explaining tips to someone else helps you to remember them better. Not to mention you will be seen as the local Excel expert! Sometimes you will want to re-watch a series of tips that is in the middle of a 15-min video tutorial. But you don’t want to waste time searching back and forth in the video to find those tips. So to help you make the most of the videos there is a free bonus PDF of video highlights (worth $22). This PDF gives you exact times (in minutes and second) where the key highlights happen in the videos, so you can jump straight to a favorite tip without delay. If you’ve satisfied yourself about the content of the eBook and videos there’s something you should know. They cost less than a pricey meal at a fancy restaurant yet have the potential to propel your professional career with the simple and effective tips contained inside. This is one investment you want to make for yourself and quickly! One hundred percent! If you don’t like the products, just ask for your money back. We have a 30 days money-back guarantee, so you can take your time and decide. Important: What happens when you click the “Add to Cart” button? 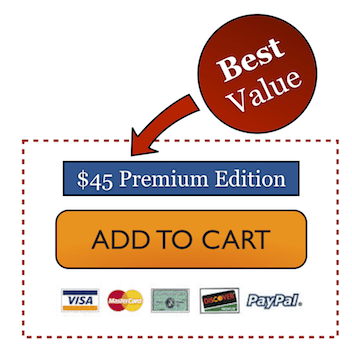 You will be shown a shopping cart where you can confirm your order and enter coupon codes. 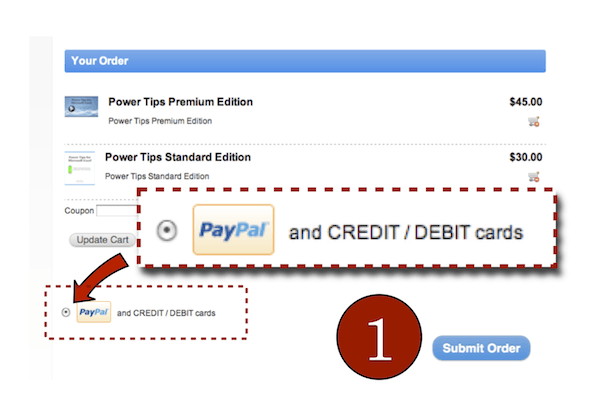 When you proceed to the checkout you can either pay by filling in your credit card details or use a Paypal account if you have one. 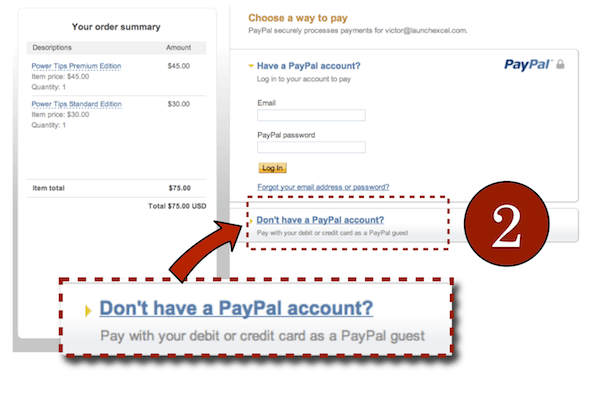 Paying by Paypal is option #1 and paying by card is option #2. It is important to enter your email address correctly, as a copy of the download link will be sent to you by email once your payment details are verified. If you have any questions that have been unanswered, please contact me directly and let me know how I can help. I’d be interested in getting your feedback. The feedback that you give me is strictly confidential. Use the contact form at the bottom of the page. P.S. if you want Power Tips, you should move fast. Not because supply is running out, but because ultimately it’s about better productivity. The longer you wait, the longer it’s going to take for you to start seeing results. Don’t wait until you’re too stressed at work, buy it now when you have time to really master the tips.